AbleHawks and Allies is an on-campus organization that strives to raise awareness of accessibility needs, to institute progressive change, and to provide a community where those affiliated with the University of Kansas can work together to advocate for increased accessibility at the University of Kansas. AbleHawks and Allies encourages the promotion of disability as a multicultural issue and welcomes all people to attend meetings and events. Independence, Inc. Independent Living Center in Lawrence, KS since 1978. Ranita Wilks, ILS/Peer Counseling Specialist and Youth Employment Program (YEP!) 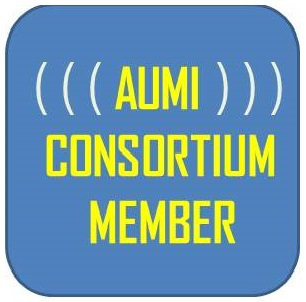 Coordinator writes, "AUMI provides an opportunity for members of our peer support group, MAG-NET! (music appreciation group-not especially talented!) to create their own fun, funky beats by wiggling their noses or shaking their bums. The objective of MAG-NET is to provide people with disabilities creative ways to make music and AUMI is a wonderful addition to the group. Currently, we’ve added the AUMI program to 12 computers in our Computer Learning Center. Consumers can individually create their own sounds or jam in a group setting." Sound+Vision Studio, Lawrence Public Library. Sound+Vision is a state-of-the-art recording studio available free of charge at the public library. Sound+Vision and the Lawrence Public Library have been partners with AUMI KU-InterArts, Independence Inc., and the “Do You AUMI?” community jams and recording sessions since September 2015.